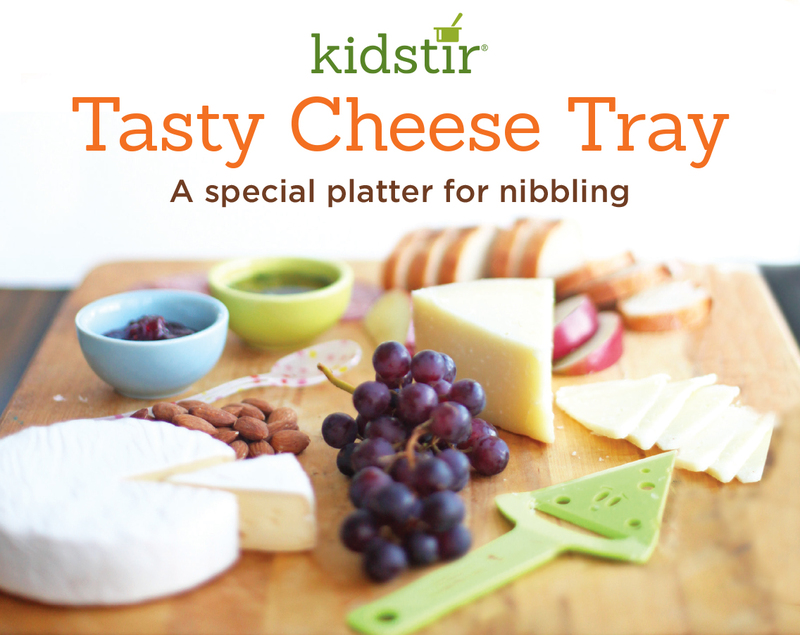 Put the kids in charge of building the Tasty Cheese Tray, and making it look special. Step in and help them with the apple and bread slicing, but otherwise, step back and let them arrange the platter. They can fan out the apple slices, layer the sliced salami, and put the dip and jam into tiny colorful bowls. Add a festive spoon (for drizzling the olive oil onto bread), a spreader (for the jam), and a cheese slicer, too. 1. In a small bowl, mix the olive oil, crushed garlic, and salt. Add about 1 tablespoon of fresh chopped basil or rosemary and stir it into the bowl. 2. A grown-up can help cut up the French bread into even slices with a serrated knife, and help slice up apples with a paring knife. 3. Spritz the apple slices with a little lemon juice to prevent browning. Rinse and dry the grapes. Spoon jam into a small bowl. 4. Use a cheese slicer to cut a few pieces from the cheeses. Run the slicer on the top of the hard cheese. Use the side of the slicer to cut a wedge out of the soft cheese. 5. Place all the items on the cheese board. Add nuts, sliced salami, and any extra items (such as pesto, crackers, or olives). Rearrange until the platter looks inviting. Now let everyone nibble away!